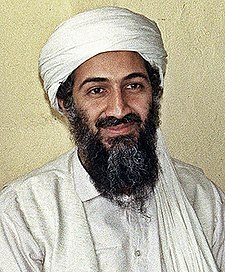 ↑ "Wanted: Usama Bin Laden". Interpol. 喺2006-05-15搵到. ↑ "Salon.com News - The making of Osama bin Laden". Salon.com. （原先內容喺2007-03-07歸檔）. 喺2006-08-21搵到.